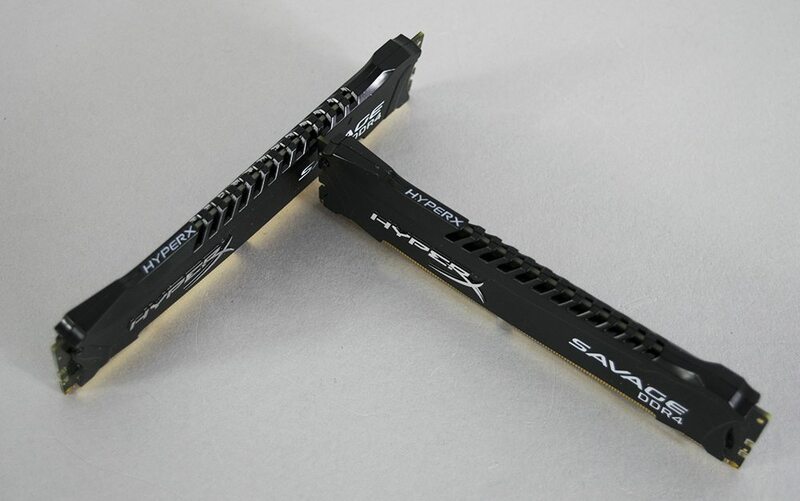 If you go back to the times of DDR3, HyperX released a couple of gaming and performance memory ranges which included the Fury and Savage kits; today we will be taking a look at a new release for DDR4 of the Savage, but more specifically, the HyperX Savage 2800MHz 16GB (2x8GB) dual channel DDR4 memory kit. 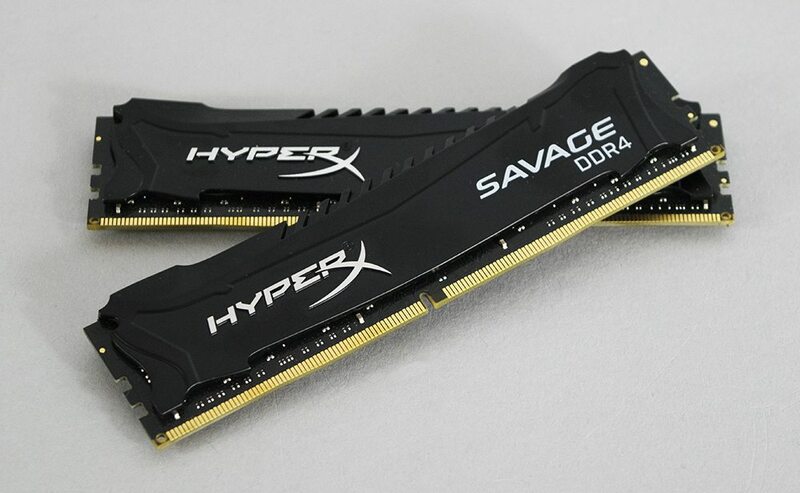 As with all mainstream retail samples of memory, the HyperX Savage DDR4 is no exception to the “white label” specifications sticker which is standard practice. Here we can see the modules were produced in Taiwan and that HyperX is a division of Kingston! 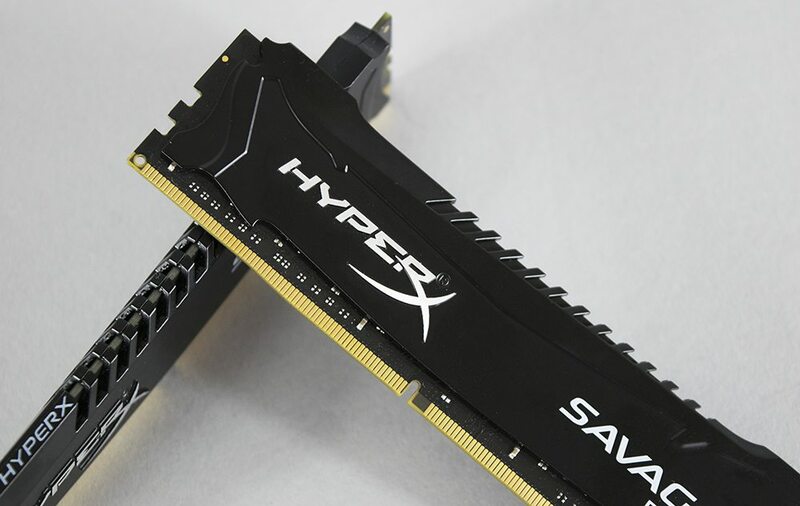 This particular kit of HyperX Savage features a dual channel configuration on Intel’s Z170 Skylake chipset, but 2 kits of this memory (4 modules) would give quad channel capabilities on Intel’s other top performing chipset, X99 or Haswell-E.
A lot of HyperX kits tend to use Hynix MFR memory chips which favour higher speeds, but sacrifice some performance, but it’s good to see that this kit features a dual sided design which gives me the impression that the memory IC’s used here are of better quality than MFR. I would rip the heat sinks off to identify the exact IC’s featured, but I wouldn’t be able to do this without potentially damaging the memory thus I have left the heat sink as it is. The Kingston HyperX Beast 2400MHz memory kit is under scrutiny today.